Bathroom ventilation fans should deliver optimum air flow and meet customer expectations. 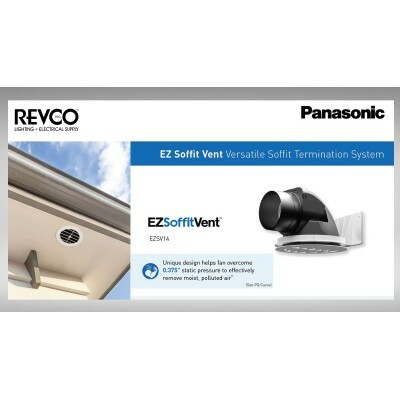 EZ Soffit Vent is a versatile Soffit termination system that enables you to overcome customer satisfaction call backs due to poor airflow and back drafting. A unique set of features lower total installed cost, while providing high performance results.